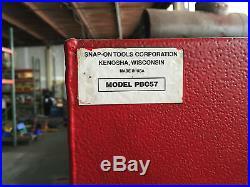 Snap On Model PBC57 Parts Washer Aqueous, Electric Automatic Cabinet. Comes from an auto parts factory. Automatically cleans engine blocks, cylinder heads, transmission cases and small parts using a pressurized heated biodegradable soap solution. Features a large turntable that rotates and uses eighteen spray nozzles for complete cleaning; turntable also pulls out 24 for part loading. Features integral oil skimmer and screen filter to keep contaminates separate from cleaning solution. Pail of YADW896 powdered soap. 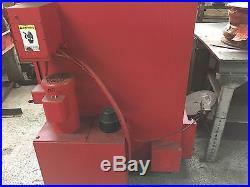 All sales are "as is", F. You are welcome to inspect any machine with arranged appointment. Item will be pallet ready. I value your business and your feedback. Feedback will be posted for you as well. Thanks for looking at my listings. 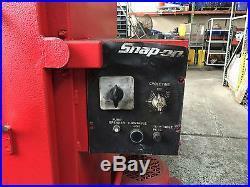 The item "Snap On Model PBC57 Parts Washer Aqueous, Electric Automatic Cabinet" is in sale since Thursday, May 05, 2016. 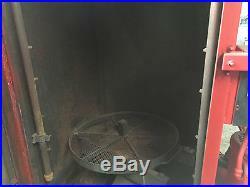 This item is in the category "Business & Industrial\MRO & Industrial Supply\Cleaning Equipment & Supplies\Pressure Washers". 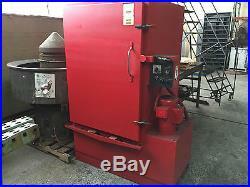 The seller is "tap15" and is located in Philadelphia, Pennsylvania. This item can't be shipped, the buyer must pick up the item.